CHAPEL HILL, NC – IBM is the latest company to join the iRODS Consortium, a membership organization of users and service providers that sustains the integrated Rule-Oriented Data System (iRODS) as free open source data management software. CHAPEL HILL, NC – Users from around the globe who use iRODS, the open source data management platform now developed at RENCI and sustained through the iRODS Consortium, will meet in Chapel Hill June 10 and 11 for the 2015 iRODS User Group Meeting (UGM). The UGM is an annual opportunity for iRODS users and developers to discuss iRODS-enabled applications and discoveries, technologies developed around iRODS, and future development and sustainability of iRODS and the iRODS Consortium. Much has been said about big data and its potential to improve business productivity, understand risks, and improve medial diagnoses. But first and foremost, data is about people: how they interact with each other and their environment, their beliefs, the choices they make, and the significance of those choices. With so much human-focused data available, social scientists have the opportunity to learn much from the big data revolution, but they need the technological infrastructure and resources to work with massive amounts of what is often unstructured and unwieldy data. Gleaning knowledge from data requires powerful computers, flexible and reliable data management platforms, high performance networks for moving and sharing data, and massive amounts of storage. CHAPEL HILL, NC – Every spring, the UNC-Chapel Hill community showcases its most promising and innovative early-stage startups at an event called the UNC Innovation Showcase. The event illustrates how university research can lead to innovative products that benefit consumers, healthcare professionals, and many business sectors. Over the years, a number of new companies nurtured by RENCI have been featured at the showcase, and this year RENCI again had a presence, not through a startup but with a presentation of a new technology called Secure Research Space (SRS). 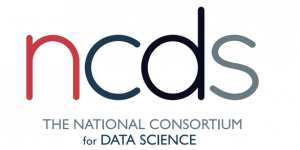 Throughout 2015, the National Consortium for Data Science (NCDS) will host a series of lunchtime webinars highlighting the most pressing and interesting issues in data science. The DataBytes series webinars will take place on or about the first Wednesday of each month. Talks will begin at noon, last 30 to 45 minutes, be followed by Q and A, and will conclude no later than 1 p.m.
CHAPEL HILL, NC, February 9, 2015 – The Atmospheric Science Data Center (ASDC) at NASA Langley Research Center in Hampton, VA has signed an agreement to become the newest member of the iRODS Consortium. The iRODS Consortium is a membership organization of users and service providers that sustains the integrated Rule-Oriented Data System (iRODS) as free open source data management software. The U.S. higher education system faces many challenges, none more daunting than this: How to equip students with the skills they will need to survive in a competitive, globally connected world while keeping costs—especially tuition—from skyrocketing. Proponents of educational reform argue that students are disengaged from the learning process and that traditional lecture-based courses do not encourage student immersion, interaction, or critical thinking (Atkinson 2010). Teachers too are disengaged, they argue, with much of their time spent on paperwork and few incentives provided for developing classes that emphasize collaboration and critical thinking. Typically, finals week brings to mind sleepless nights and groans of frustration as students slave away over last-minute projects and papers. This is not the case for students in GEO 445: Medical Geography, taught by Ashley R. Ward, PhD.